At the time, Dr Clifford Salter was Director of Pinel House. When he left, Leslie was asked to look after the Unit: Pinel House is thought to have been the first centre of its kind in UK. 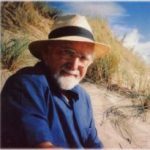 Leslie was a member of the Institute of Psychotherapy, established the West Kent Association for Psychotherapy and was also a Senior Lecturer and Examiner for the University of London, conducting an extra mural Diploma Course at the Chelsfield Pastoral Centre. Since 1983, Leslie attended all of the BDDG Annual Conventions, with one exception, providing Workshops for the Families Group of BDDG and counselling, not only for Family Group members but also for attending alcoholic or drug addicted doctors and dentists in recovery. Leslie Virgo interview: Leslie Virgo – ‘Link’ Interview’ .